Our store on Shapeways continues to expand with fifty new items released on 1 April. Federation (Fralli) Cruiser Powerista, Klingon B10T, Romulan K10R and SparrowHawk-J, Kzinti Heavy Medium Cruiser, Gorn Neo-Command Cruiser, Neo-Tholian medium cruiser, Orion battlecruiser, Hydran Overseer Battle Carrier and Overmind Battle Control Ship, and the Lyran Lion-Mauler. The Andromedans continue to arrive with their Conquistador, Python, and Mamba. Two "lost" Aztek 3788s were released: Lyran Lion dreadnought and Yaguarundi carrier. New for Omega: the Iridani get their barque while the Ymatrians get their frigate leader. The Sigvirions get their scout. New for Omni Scale are the ISC gunboats and the WYN Battle Control Ship. Our website, www.StarFleetGames.com, continues to grow and improve. You are welcome to send us your requests, comments, and suggestions. Samantha Todd, our graphics director, continues to update the website, do covers for the new products, shut down pirate websites, help out around the company, and learn more about the game business. Jean continues to improve our page on Facebook, adding many new photos and other features. If you haven't seen the 1,000+ pieces of art in the albums, you should drop by and visit. You don't have to be a member of Facebook to see our page, but if you are, please become our friend so you can get information in your newsfeed. If you've already liked us on Facebook, but are not seeing our posts, then remember to check your new "Pages Feed" on the left menu. You can also go to our page and hover over the "Liked" button. Be sure that "Get Notifications" is checked. ADB has a Twitter feed. We are ADBInc_Amarillo. You'll find news as well as links to pictures. Check us out and retweet news of interest to your own followers. We're excited and our next goal is to get 200 followers. Help us reach that, please. A customer asked about posting "tutorial videos" for our games. We like it when people do that (and even give commendation medals) but you need to have us check the videos to make sure you aren't violating something somehow (or that you didn't make a rules error). Doing such videos to make money is not cool. Please drop us an email before you post the videos. The blog covers all aspects of the company. Star Fleet Legions isn't a new game; it is all of you who play any of our Star Fleet Universe games. For a game universe that is 36 years old, it seems odd (but very gratifying) that the number of active players is growing, not diminishing. We can tell this by the number of people on the fan pages, the number of Rangers and battle groups, the number of new Starlist entries, and of course by the sales numbers. Starlist is growing by an average of 10 new entries and five updates per month. There are 1,240 active names on the list (plus overseas, Canada, and those who last contacted us in 1991-2004). Not on Starlist? Fill out your application here:http://www.starfleetgames.com/starlist.shtml. A Call to Arms: Star Fleet fans is quite active and you will find Tony L. Thomas there. Many people show off their minis and get their questions answered. Join it here: https://www.facebook.com/groups/297457383658326/. Federation & Empire actually has two fan pages. One focuses on group gaming; the other, on the game in general. Federation & Empire is the broader group at https://www.facebook.com/groups/SFUFEDEMPIRE/ F&E at StratCon has an emphasis on having a yearly meeting of like-minded gamers. That group is here: https://www.facebook.com/groups/151297821607520/. Federation Commander has its own group which has game reports, information about upcoming demos and cons, and news. Find it here: https://www.facebook.com/groups/36174345744/. Do you play Federation Commander online? Then Star Fleet Battles Online- Federation Commander Online: fan group is for you (https://www.facebook.com/groups/1461114577477401/). Prime Directive has a group that discusses all of the various games from the original Prime Directive to the various game engines we've adapted for the Star Fleet Universe. You can join in the lively discussions at SFU Prime Directive (RPG) here: https://www.facebook.com/groups/616594875036660/. Star Fleet Battle Force has its own group which has game reports and other topics such as other card games that could be of interest. Find it here: https://www.facebook.com/groups/791656494180766/. So you play SFB Galactic Conquest and can't get enough on the BBS? Try its fan page: https://www.facebook.com/groups/1572646049630694/. The Star Fleet Marines fan page got off to an interesting start and had to rename itself as anyone who wanted to be a Marine in Star Fleet started signing up, not realizing this is a game! 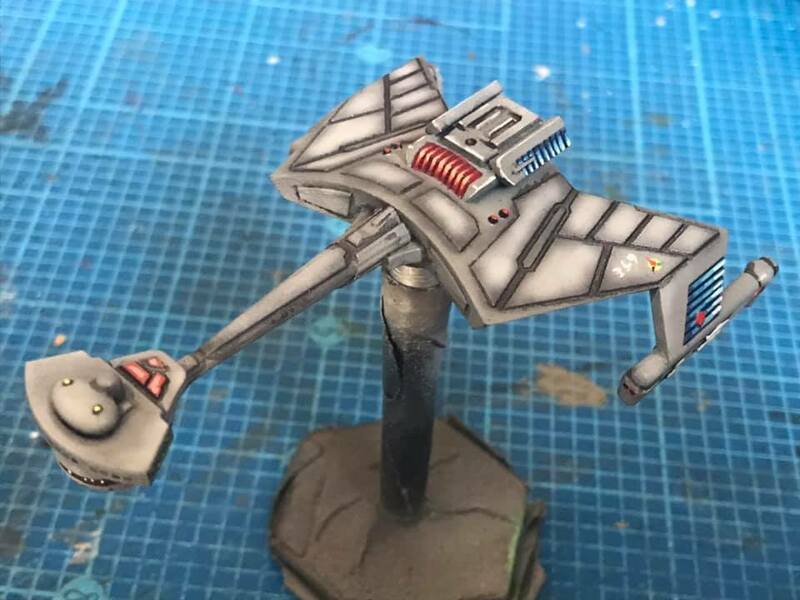 Now it is called SFU Star Fleet Marines and you can find it here: https://www.facebook.com/groups/1541362882803295/. Do you play Star Fleet Warlord? Or maybe you have heard about it and want to learn more? They have a fan page here: https://www.facebook.com/groups/starfleetwarlord/ where you can ask questions of the players and of Paul Franz. Are miniatures your thing? Or maybe you'd like some advice and guidance? Then check out SFU Miniatures Painting and Kitbashing Tips where master modellers hang out, give advice, and show off. Get ideas and news here: https://www.facebook.com/groups/568564029852004/. Starmada players, you are not forgotten. Nova, Admiral, or Unity all versions are welcome at Starmada (Star Fleet Universe): https://www.facebook.com/groups/668742733162011/. So join us on Facebook and get a fix of your favorite game there, too! The Rangers are up, fully operational, and doing demos! There are currently 50 Rangers listed in our database with 30 of them having advanced past Ranger Recruit, meaning they've held at least one demo. Star Fleet Rangers are our front-line recruiters in introducing new people to our games. They are hard working, tireless promoters of the SFU. They go to conventions, stores, game clubs, and other public venues to show our games and to teach potential players some basics. Why should you be a Ranger? Well, one of the reasons is purely selfish -- you teach people to play your favorite games and "grow your own" opponents. With enough interested people you can form a battle group and even get in on playtesting if you want. You get your name in Captain's Log and awards on your plaque on the Wall of Honor. You even get Star Fleet Bucks which will help you with purchases from our storefront. Still, being able to play games face-to-face has to be one of the best reasons to do it. 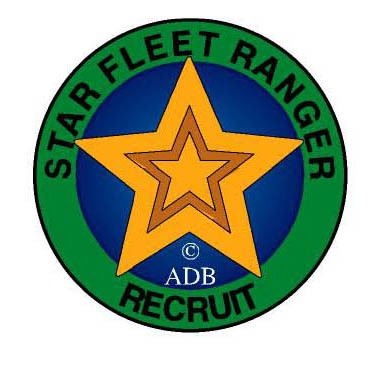 Register and join the the Star Fleet Rangers! 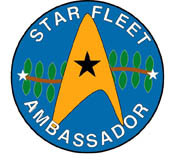 Jean Sexton has succeeded in recruiting two ambassadors (Michael C. Baker and A. David Merritt) to carry the word of the Star Fleet Universe to other websites. They (and Jean) were awarded the first ever "Star Fleet Ambassador Badges" as well as appropriate medals for their service to date. These ambassadors do not just repeat press releases; they answer questions, encourage discussion, and help people find the relevant documents on our website. Contact Jean Sexton if you want to volunteer for ambassador duty. Take a journey with us to an ancient age, just one step up from carving game rules on clay tablets. The year 1973 was at the very dawn of the independent wargame publishing companies. Typesetting was done with a manual typewriter, print-on-demand meant the photocopier at the library, counters were printed on paper (and drawn by hand), page layout was done with scissors and cellophane tape, and two guys in a garage could turn out a wargame magazine that won two Origins Awards. The point was creativity, new ideas, and imagination. Production values would have to come later. That magazine was JagdPanther (Hunting Panther), created and run by the same Stephen V. Cole who later co-founded Task Force Games and then went on to found Amarillo Design Bureau. We found the ancient archives of this game company (which ran from 1973-1976, producing 15 magazines, about 50 games, hundreds of variants, and dozens of game reviews) and have placed them on Warehouse 23 so they are available to collectors. (Old issues have been selling on Ebay for over $100 each.) Issue #1, Issue #2, Issue #3, Issue #4, Issue #5, Issue #6, Issue #7, Issue #8, Issue #9, Issue #10, Issue #11, Issue #12, Issue #13, Issue #14 and Issue # 15 are uploaded. 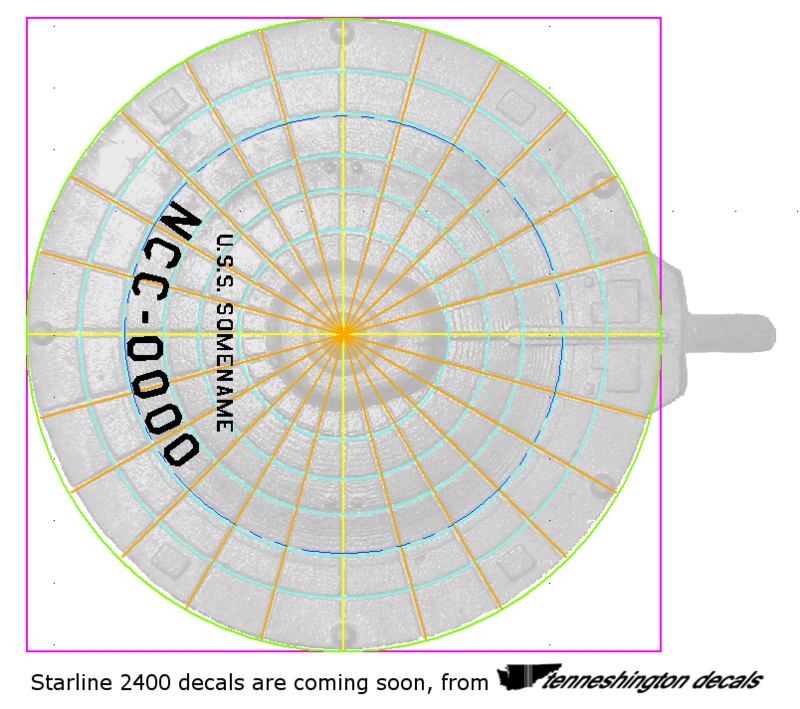 Tenneshington Decals continues to provide custom decals for all currently produced Federation Starline 2500 miniatures. In addition to the legacy fleet and squadron box sets, decals for each of the ships are available as individual sheets, along with special sheets to detail any ship with additional window blocks, sensors, hatches, and even phaser scars. As with all of their products, the names on the ships are up to the customer and all sheets are custom-printed to order. For more information or to download the order sheet, check them out at www.tenneshington.com. Or if you prefer, email Will McCammon at: will@tenneshington.com or Tony L. Thomas at: scoutdad@tenneshington.com. Jupiter IV Decals is a source of decals for the 2400 line and will do custom decals as well as all official SFB names. In the near future Jupiter IV will move into the 2500 line and will work to get every listed name on the Starfleet registry completed in both scales. Masters 2018 has all of the 16 Round 1 games played; five of the Round 2 games are completed. Andy Koch is the judge in this "just for fun" tournament. Rated Ace Tournament 48 is being played with only the final game left to play. Ron Brimeyer has withdrawn as the judge and Steven Petrick has stepped in to usher the tournament to its conclusion. Star Fleet Battles games are held weekly in Tempe Arizona each Friday at Game Depot from 2:00 -7:00 pm. Eric Phillips is the person to contact. Star Fleet Battles games are held regularly in Indianapolis, Indiana at Family Time Games. Anthony Harding is the contact person. For more information see: http://www.meetup.com/Star-Fleet-Battles-Indy/. Star Fleet Battles games are played regularly in Columbus, Ohio, on Sunday afternoons at the Soldiery. Lee Hanna is the contact person. HAILING FREQUENCIES: This is our newsletter and will let you know all the news for all our games. You can subscribe here. Have you missed an earlier newsletter? Click here to get caught up! COMMUNIQUE: The latest Communique brings you more Ship Cards, scenarios, and more news from the Star Fleet Universe! It can be downloaded from the Commander's Circle. COMMANDER'S CIRCLE: We continue to improve the Commander's Circle. All of the ships and scenarios are available as separate documents (the ships are organized by empire) so you can quickly see what is available. The FC Scenario Database and Master Ship Chart documents are also here. Our newest project was suggested by our players and is uploading low-toner Ship Cards. The Commander's Circle is the best place to find free additions to Federation Commander! The Federation Commander site and Forum continue to grow as more gamers continue to find them. All of our games currently have topics in the Forum. If you have any comments, questions, or requests for our Graphics Director, this is the place to let her know. Come see what the commotion is about and join the Federation Commander Forum now. We are very pleased to see the medals, honor bars, and ribbons awarded to players being incorporated into their signatures. It is exciting to see lots of interesting conversations about a wide variety of subjects. Get in on the activity! While for new players the Federation Commander Forum is a little easier to manage, the original (Discus-based) BBS is where most product development takes place. If you have a proposal you'd like to see worked on, don't forget to make sure it is mentioned here. It also has active F&E and SFB forums where players run campaigns, Rated Ace tournaments and other SFB tournaments are organized (most FC tournaments are organized on the Forum), SVC's "My Day" appears, along with current news and strategies dealing with Prime Directive, and each issue of Captain's Log is created. While less colorful (no avatars or sigs), it is a vital part of ADB, Inc.'s communications. In many cases Coalition players will send their diplomats to each other and to the LDR in order to gain extra economic points. Some players reason that the guaranteed money is better than the more chancy risk of attempting to turn neutral planets to their side. However, there are some hidden benefits to sending your diplomats to minor planets in the neutral zones, even to Zursk (hex 1506) on Turn #1. In fact, consider purchasing an extra diplomat for the Klingons on Turn #1 so that they can send diplomats to all three of the neutral planets on their borders with the Kzintis and the Federation. The Romulans should send their three diplomats to the neutral planets on their borders. The Lyrans should send one diplomat to the LDR and the other two to the Klingons and Romulans to generate extra income, as the Lyrans have no neutral planets on their borders. If the Alliance opposes the Coalition diplomats, then they still have equal chances of converting the planets to their side. In addition, the Alliance is not generating extra income by sending diplomats to each other. On the whole, in the early stages of the war, if both the Coalition and the Alliance are not receiving economic points, then the Coalition wins in the early critical stages of the war when economic points are harder to come by for the Alliance. In other words, if each loses the economic points, then the Coalition benefits more in the early stages of the war. On the other hand, if the Alliance does not oppose the Coalition's efforts, then they have a 1/3 chance per turn of converting each neutral planet to their side. However, they still run the 1/6 risk that the neutral planet will turn to the Alliance. Nevertheless, over the course of five turns (Turns #2-#6) they will have a very good chance of converting the neutral planets and their defenses to their side. Do not forget that the Klingons need to send a diplomat to the Romulans on Turn #6 in order to ensure Romulan entry into the war on Turn #10. Note also that there is no requirement to attack a neutral planet once war commences; thus, if they have good strategic reasons, they could potentially continue diplomacy over a neutral planet rather than conquer it. If the Coalition is successful, they gain many more economic points over the course of the game, as the planet becomes theirs upon war commencing. In addition they gain the two planetary defense units instantly and for free. Thus, the formerly neutral planet becomes a strong supply point for prosecuting the war. The Coalition could even build up the defenses and put a starbase over the former neutral planet and have a hardpoint that extends supply deeper into enemy territory. Once war begins in earnest, or the Coalition has conquered or converted the formerly neutral planets, the Coalition can move the diplomats back to earning economic points the usual way by sending them to each other. In the later stages of the war, this strategy will be more useful as economic points earned by diplomats are not subject to exhaustion. In the end, by sending diplomats to the neutral planets early in the war, the Coalition will win either way. The Coalition will either deny the Alliance early economic points when they need them the most, at little cost to themselves, or it will have a very good chance of turning neutral planets and gaining many more economic points over the course of the war, as well as gaining the neutral planet's planetary defense units for free. Click here to see our previous issues of Hailing Frequencies. A new Starmada book for both editions. New starships for the 2400 (1/3788) range including heavy war destroyers and the jumbo freighter. We’re now offering some of our miniatures and some new designs on Shapeways. Click here and you can see all of the products we have avaliable as PDF and Ebooks. Today's second case was a pro forma investigation. Colonel Khost of the Galactic Research Unit, Klingon military intelligence, had been killed six tendays ago in a bar fight at a tavern near his work, less than five kams from her desk. She paused for a moment, trying to remember if she had ever been there. Maybe once, she decided, a few years ago. Or it might have been a tavern with a similar name in the same general area. Koen van der Pasch asks: Can I take a multi-role shuttle with slow drones and pay only eight BPV, even though the year is 180? ANSWER: Steven Ehrbar replies: Yes. See (FD2.454). Ships are not required to pay for the drone speed that is general availability; they can use slow drones, at the lower BPV, if they like, even in Y180. It would not be normal to have fast drones in the racks and slow drones for the multi-role shuttle, but after a speed enters general availability (FD10.651), it never leaves it. Emilia Stark asks: Is there some reason that all MRS shuttles are (more or less) alike in capability? Could not an empire develop an advanced MRS, or a local design, with special abilities? After all, their weapons vary empire by empire, so why not their special abilities? Admiral Kumerian replies: The unit is simply too small for much variation, and as a minor unit, it's not worth a lot of extra rules. A Klingon or Gorn MRS might have an extra ground attack point, but it would have to give up something (perhaps a drone or two) to gain it, and it's just not worth the extra bother. Q: Rules in the production section indicate that the costs to build the OOB items are indicated on the OOB, but I'm not finding that. Where are they? A: The cost data was moved to the SITs long ago, but there were a couple of leftover references from earlier editions that did not get changed until F&E-2010. Q: What is the maximum production for a given turn? A: See the production schedule in each Order of Battle. There are things like Overbuilds (431.30) and accelerated production (431.37) that expand this to a limited extent. Q: I seem to recall a rule, question, or ruling that mothballed ships get a discount when being converted (similar to conversion during repair), but I cannot find the rule. Does it exist? A: There is no such rule. You can convert mothballed ships before they are activated, but you have to pay the full cost. Q: On the SIT, some items have a cost of "Schedule: 5" while others have "For ABC: 5" and others have "(431.6): 5". What does this all mean? A: The simplest, "Schedule: 5", means that the ship is in the production schedule and when produced costs 5 EPs. An entry in the form "For ABC: 5" refers to an allowable substitution. In some cases (e.g., scouts, carriers, drone ships, maulers) the number of such substitutions is limited by special rules for that kind of ship. The entry "(431.6): 5" means to check the stated rule number, in this case (431.6), for the conditions under which you are allowed to build that unit, and if those conditions are met, you pay 5 EPs. Q: How long does it take to build a ship? A: New construction is done in Step 2B3 of the SOP. There is no lead time for the construction as this is a simplification of the construction of new ships. Yes, it takes longer than the instant that you pay for a ship and it appears on the map, but there are certain aspects of a large game such as this that need simplification. Otherwise, you'd have to keep track of what you ordered and the game doesn't need more record keeping. Q: Is there any limit (539.7) on the substitution or conversion of theater transports such as FFTs or DWTs? A: The rule has no limits, but of course, you would be limited by available funds, ships, and conversion facilities. Q: Can one empire build a PRD (425.1) at an ally's planet? A: Yes, you can, assuming no other rules get in the way and you have the money. The only restriction is that there can only be one PRD at that planet. It should be noted that any repairs done by this PRD has no connection to the allied Strategic Movement Grid and would not be eligible for free Strategic Movement. A: No, the free fighters are available only in the capital shipyard supply grid (the Main Supply Grid). Dear Aunt Jean, we've heard the GURPS Prime Directive revision is going to be longer than the old one. How much longer? A: The old book was 200 pages. Right now we are estimating this one will come in somewhere between 350-360 pages. We've added a lot of information! Send questions to Jean at marketing@StarFleetGames.com and she will answer as soon as she can. In this section we will provide links to various web pages and items that we think you will find "cool". Here are links to the new pages of Starline 2500 miniatures pictures. We have new images of our game Star Fleet Marines posted on our BBS topic page. Any examination of the efficacy of shield crackers without considering Marines is only looking at half of the story. Seltorian ships are built with significant numbers of transporters and entire colonies of Marines. The whole "historical point" of the shield crackers was to be able to board and capture ships intact. (The Tholians were businessmen and wanted to get back stolen resources, not destroy them.) Seltorians have more Marines than anyone-else and plenty of transporters. Either perform hit-and-run raids (if you can't capture the ship), or perform boarding actions (if you think you can capture the ship). To capture an enemy ship during a duel, remember that you only need to have some of your Marines survive the first turn. The idea is to build up enough numbers so that by the third turn you outnumber the enemy ship's Marines and you will eventually capture the ship. Shield crackers help you do this. In a squadron scenario, you should be able to just flat-out capture enemy ships in one shot. A Seltorian task force of a light cruiser and a pair of destroyers (or frigates) will have 14 transporters (seven in Fleet Scale, against smaller targets), which will allow you to send over enough Marines to overwhelm most opposing cruisers, and at least challenge the Klingons and Gorns. Do it a second time and the ship is yours. Your ultimate purpose in Star Fleet Battles is to gain honor and glory, both through winning battles and tournaments and through adding medals and ribbons and badges to your plaque on the Wall of Honor. Term Papers (and other tactical papers for other game systems) are an excellent way to do this. Due to the current shortage of Term Papers, virtually any paper that isn't illegal and isn't a repeat is all but certain to add to your plaque. Every month we will feature one or more of our miniatures. If you paint miniatures, submit pictures of your minis and they may be selected for the next Mini of the Month! Kent Ing painted this Klingon D7K Battlecruiser (3125 Scale, Smooth Fine Detail Plastic). Help us pick the mini of the month on our page on Facebook. The mini with the most likes and shares will become the mini of the month. Vote for the ones you like!